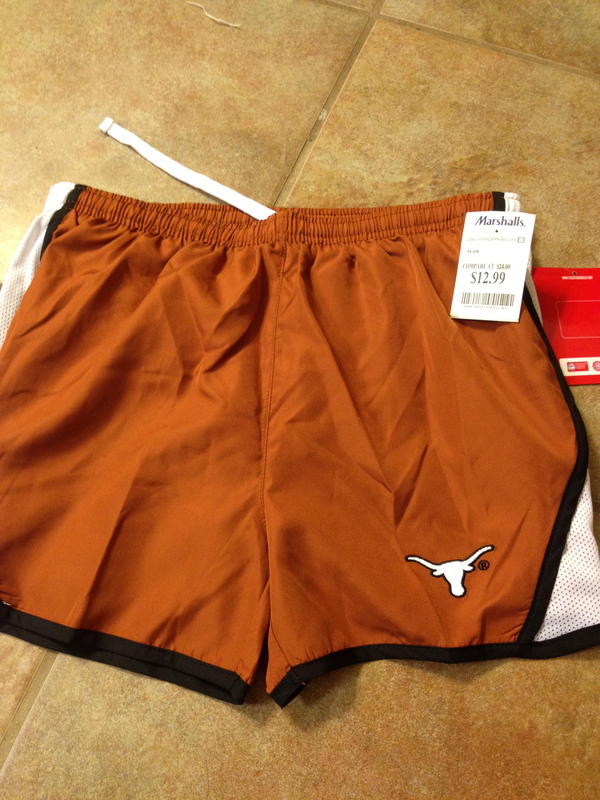 I was really excited today when I found these UT running shorts at Marshalls!! I have been watching the Nike UT shorts for a long time, but they are really expensive and the Bevo looks like an iron on. I’m not even sure what brand these are, but the Bevo is embroidered on, so he should last for as long as I have the shorts. Did I mention that there are a lot of UT students and Texas Exes in the Olympics!!? So far they are doing really well! hree Olympic medals for men’s swimmers today — Brendan Hansen, bronze, 100m breaststroke; Ricky Berens and Jimmy Feigen, silver, 4x100m freestyle relay (qualifying swim). Keep it up and Hook ‘Em Horns!! !